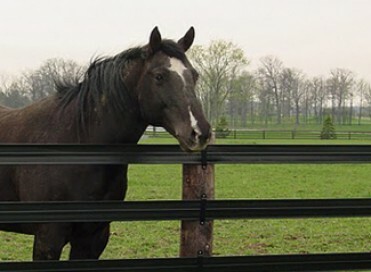 At RAMM Horse Fencing & Stalls, we value our close-working relationship with all of our customers and take pride in providing the very best customer service in our industry. When we receive a compliment or testimonial from a customer, we always seek their approval to publish their kind words and comments. See below for a small sample of the many customer compliments and testimonials that we have received over the years. These compliments and testimonials are the words and thoughts of our customers only - they remain unedited. Would you like to send RAMM a testimonial from your project? We'd love to hear what you think! Send us an email with your words and photos or videos today, with our thanks! "Last year we upgraded our outdoor shelter paddocks with Lighthoof mud management panels and Shockline fencing from RAMM Fence. 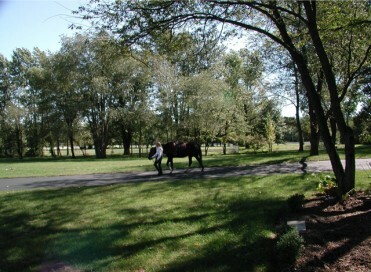 We are now able to board horses outside year-round in our wet climate in comfort, safety, and style. 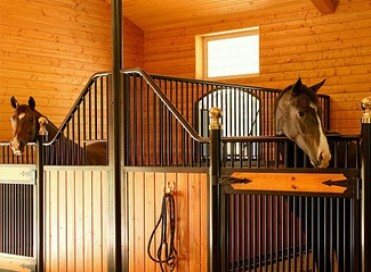 Both products were simple to install and make the facility look beautiful, in addition to being extremely easy to maintain and worry-free for all horses, including mares with foals, studs, and horses on rehab. We now have a waiting list to board in those spots and have already called RAMM to order more for the rest of our farm!" I just bought and installed four of theses fans from Ramm in my barn. I had to replace four bought from TSC because I power washed them to get off the dust. Ruined every one. These new fans are worth every penny! Quiet, powerful, enclosed motor and SAFE. Comparable fans through other outlets were much more...even with the included price of shipping. Do your research and you will not find a better fan for a better price. I am so happy with my Raceline/Shockline it went up so easily, looks great, and customer service was great answering my many questions. After looking at some of the competitors fencing at Equine Affaire I am even more certain I made the right choice! And Ramm had by far the best price on stall mats. Thank you for helping my dream (on a tight budget) come to life! I received and installed my fans yesterday; it was a piece of cake. Both installed without any problems and both fans operate in outstanding fashion. The packing was outstanding as well. The amount of air these fans move is quite amazing for the size. I think I can see a bit of gratitude from the horses when they are on. They not only help with cooling and providing a lot of air movement, but they seem to help keep the flies and other bugs at bay. These fans are awesome! Well made and they do their jobs. I am grateful for that! They run kind of quiet too, considering the amount of air they are moving. Thank you for all your help and for providing an outstanding product. All i have to do now is get the wife involved to see if she wants to order any additional fans.